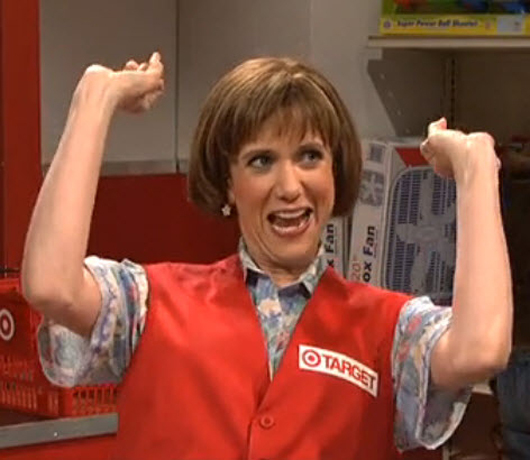 I am as excited as the Saturday Night Live Target lady today! 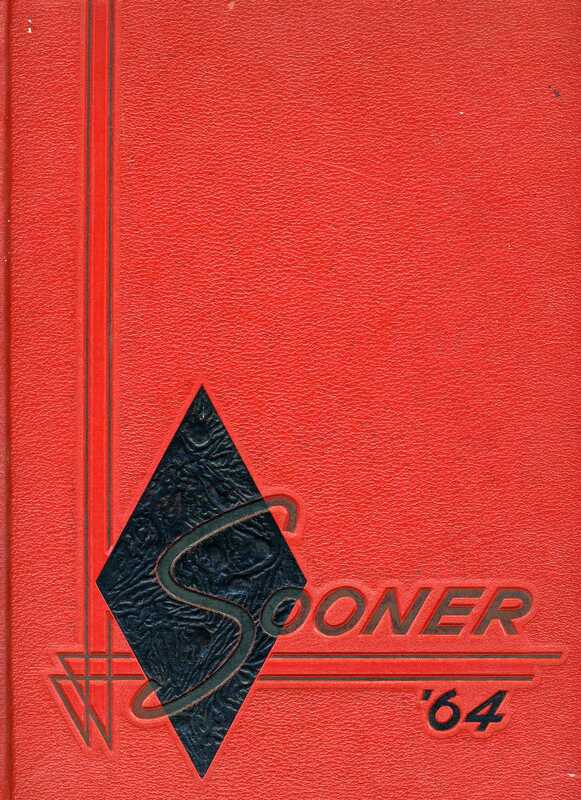 Not only did I procure another ancient history yearbook for my collection, but it cost ONE DOLLAH. Yippee! 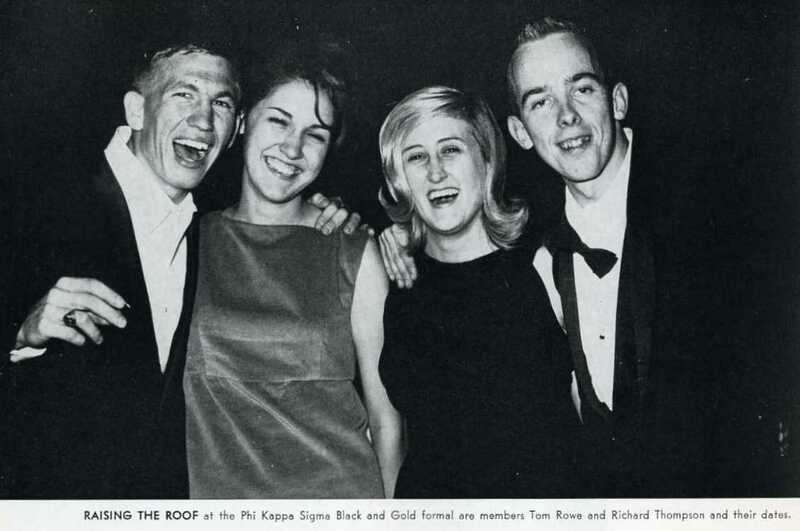 I didn’t know “raise the roof” was a popular term fifty years ago, but these fun-loving Greeks were clearly raising it. And they partied like rock stars. Even Bo Diddley got in on the action. 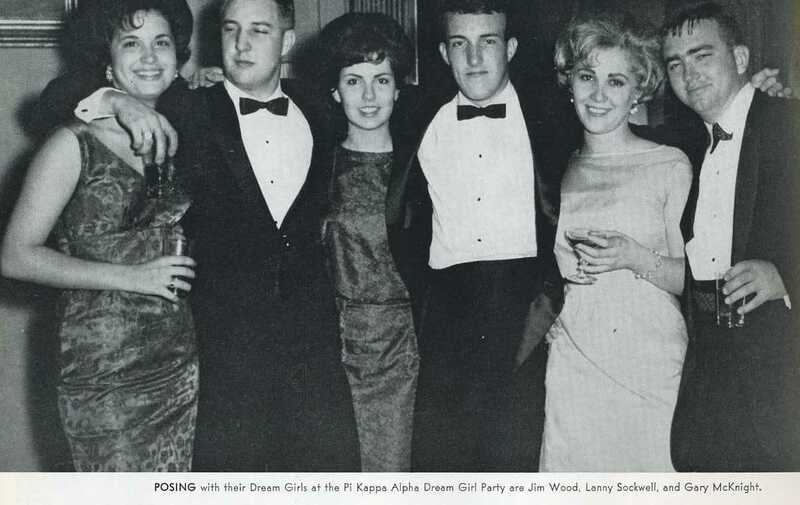 Pi Kappa Alpha partied like Royals at their Dream Girl Party. No red solo cups here. Old or young, it didn’t matter. 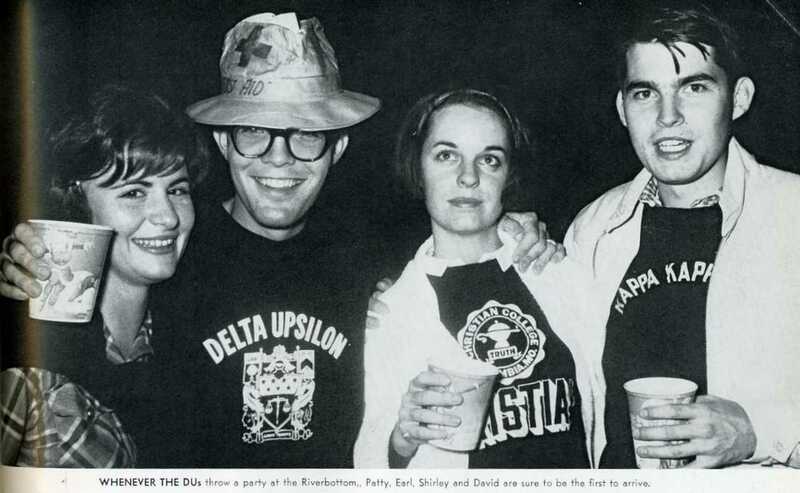 DEKEs liked to have a good time. 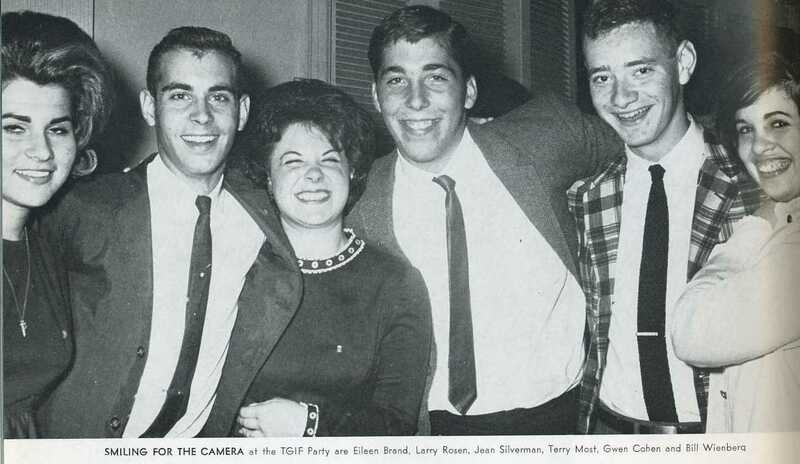 Eileen could barely contain her excitement at the TGIF Party. 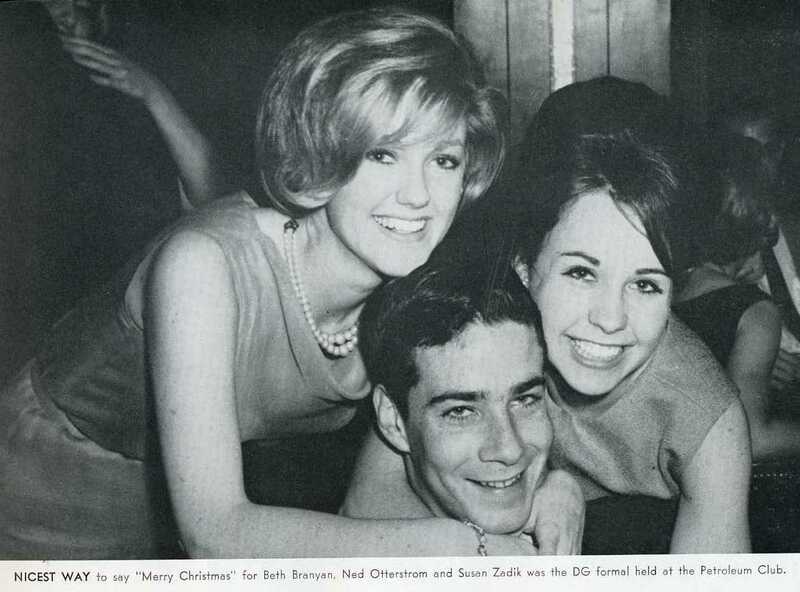 These Delta Gamma gals showered Ned with Christmas cheer. 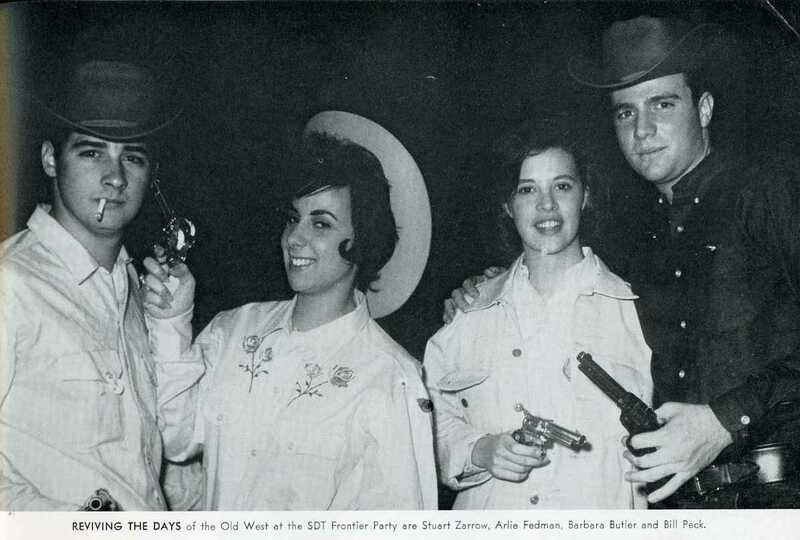 Sigma Delta Tau knew their second amendment rights. And Zeta Tau Alpha wore their sunglasses at night. 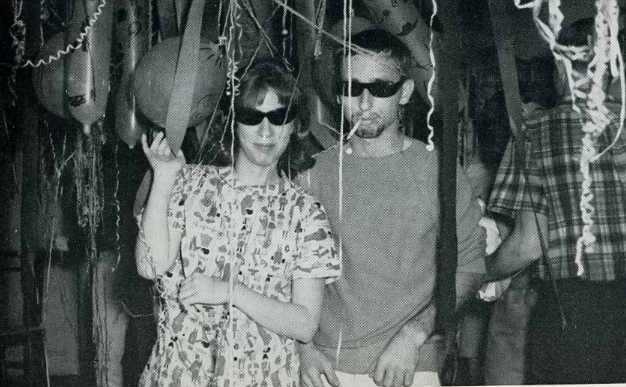 Too cool for school, you guys. Those celebrities are time traveling and photo bombing again, is that Tom Cruise in the second picture down, to the right? 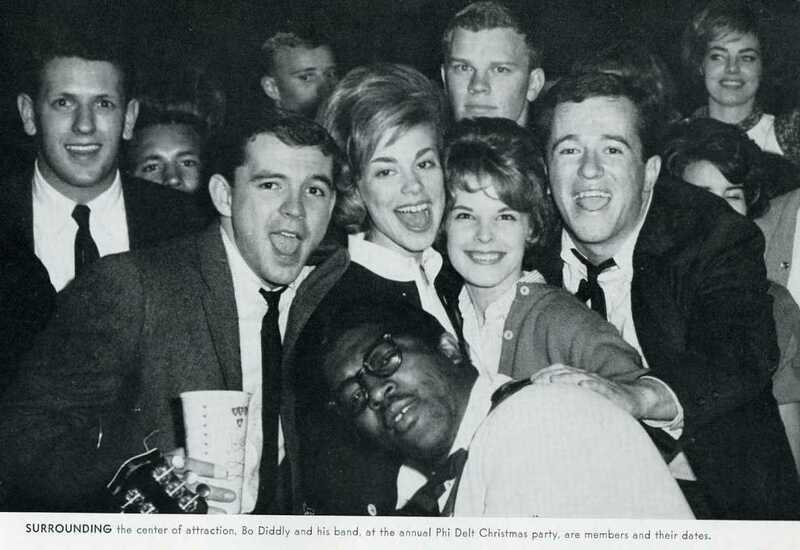 Is that Jack Lemon in the next picture down on Bo Diddley’s right shoulder? Is that Adam Sandler and misc others trying to pass as the rat pack two pictures down from that? never mind that the people brandishing guns are even making Ted Nugent and Clint Eastwood nervous. LOL I thought that guy looked pretty Cruisey, too. 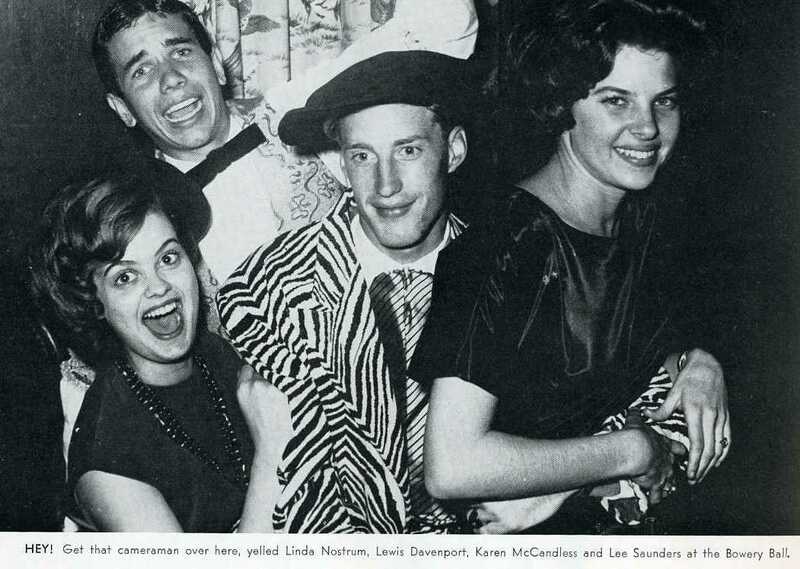 Not 60s at all, but very preppy 80s. You are too funny. 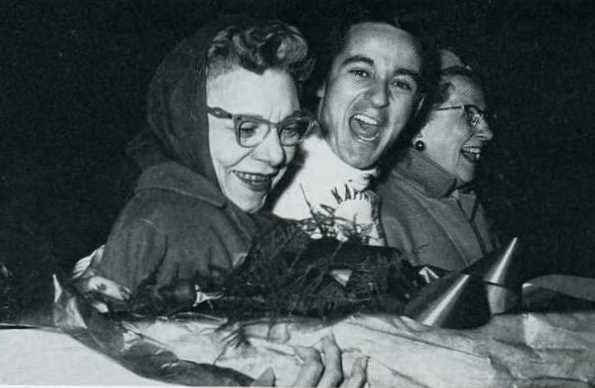 Such happy housemothers! And let’s not forget the hard-working yearbook photographers would managed to capture the magic moments. Lewis Davenport looks like a rejected villain for the Batman TV Series. He does! He really knows how to emote!